DOT has finalized locations for a Citi Bike expansion into Prospect Heights, Crown Heights and Prospect-Lefferts Gardens. CROWN HEIGHTS — The expansion of blue bikes is official. The city has released the final map of where new Citi Bike stations will be installed in Prospect Heights, Crown Heights and Prospect-Lefferts Gardens. 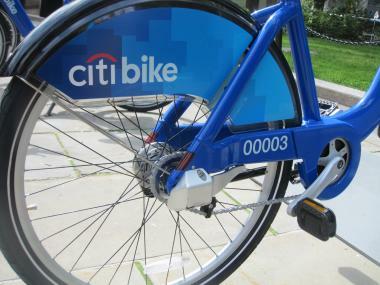 The Department of Transportation had taken input from the residents about where Citi BIke should expand in the neighborhood and released draft locations this spring. Now, DOT has finalized the bike share expansion, releasing the final map to Brooklyn Community Board 8 on Friday, which sent out the locations in an alert to residents. “The opportunity for comment is over and these locations will not be altered,” the board said in an email. Only two of the Citi Bike locations had been moved or adjusted from the draft maps; stations at the corners of Park Place and Vanderbilt Avenue and Bergen Street and Grand Avenue were moved across the street and around the corner, respectively, according to the map. The Citi BIke expansion in the Crown Heights area extends east to Rogers Avenue and south to Lefferts Avenue. There are currently no plans to expand the bike sharing program further east or south, its operators have said. The new docks will be installed by the end of the year, DOT said.